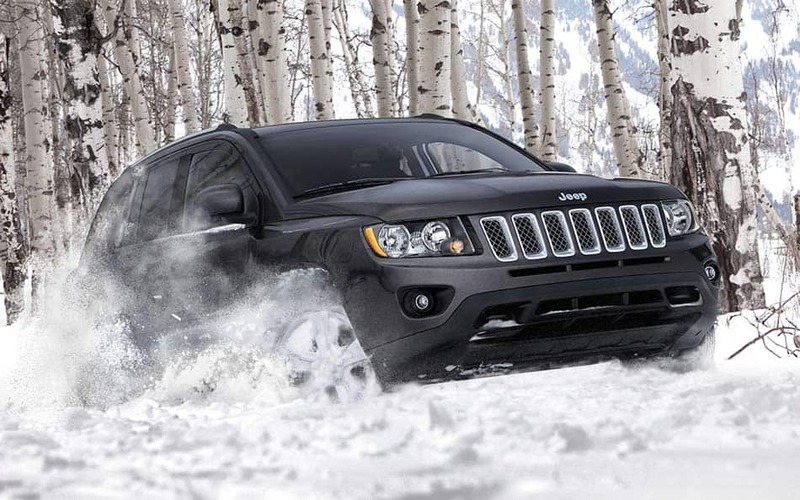 The 2015 Compass SUV, like its similar Patriot sibling, is a lower-cost way of gaining access to the Jeep family. While it's true that a Trail-Rated version can claim some off-road cred, the Compass is at heart more a front-wheel-drive-based hatchback than boulder-hopping Jeep Wrangler. Two engines are available in the Jeep Compass: The base is a 2.0-liter 4-cylinder that's standard in front-wheel-drive (FWD) models of the Sport and Latitude models. The slightly better engine is the bigger and more powerful 2.4-liter that's standard in 4WD models and the top-line Limited. You can opt for a 5-speed manual transmission, 6-speed automatic or continuously variable transmission (CVT). The Compass' towing capacity is 2,000 pounds. Jeep's little SUV is rated up to 30 mpg on the highway for a manual-transmission model. 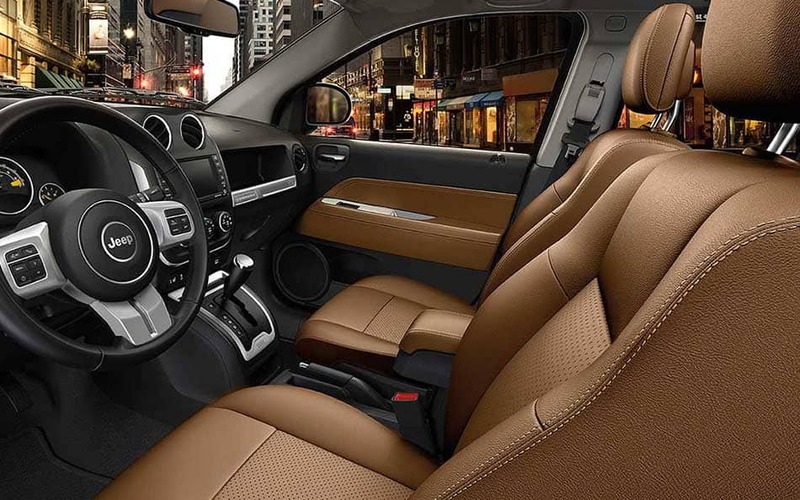 Interior - The 2015 Compass compact SUV features a 2-row, 5-passenger cabin. Cloth is the seating material of choice in base models, with leather trim in top-line Limited versions. Rear legroom is good, and the rear seats fold in a 60/40 split to accommodate extra cargo. In Latitude and Limited trims, the rear seats also recline. The two higher versions also have a flat-folding passenger seat.Exterior - Among the Jeep family, the 2015 Compass has the softer, rounded shapes of the Grand Cherokee vs. the more rugged looking Wrangler. Its front proudly presents the familial Jeep 7-slotted grille. Variants with the Freedom Drive II Off-Road Group gain skidplates and tow hooks for a tougher look. With a MSRP starting just under $19,800, the 2015 Jeep Compass remains one of the least expensive crossover SUVs on the market. Fully loaded, a 2015 Jeep Compass can pass the $30,000 mark. Resale value is great for Jeeps, in general, due to the strength of the brand name.